This was one of the best experiences I have ever had with a company. Tobey contacted me immediately, set up an estimate appointment, got us our estimate and provided the service in such a timely manner. The level of service that Andropolis Painting provides is second to none. The response time was immediate, the friendly service was amazing and the job that was done, painting our house, looks so great! We are so happy with the service and dealing with such nice people and then of course the price was great too. It took the stress off of us having to paint and was done 10 times better then we could ever dream of doing it. And they got it done quickly so we could have our house in order for Christmas. 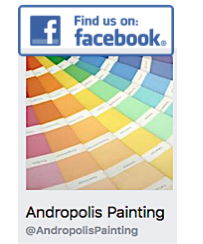 We love it and plan to call Andropolis Painting for our next painting project. Tobey did a great job. We have 22 foot ceilings in our kitchen with a large island cutting through the middle (a very challenging space to paint), but he had no trouble with it. His quality is excellent. He has a great personality. It went very well: excellent job; very professional and timely. Was helpful in answering some questions I had. The quality of the work was excellent. I would definitely hire him again for future painting projects, and would highly recommend him to others. Outstanding. Tobey, responded via e-mail same day that I purchased offer. Completed work within same week. Thorough and very meticulous. Fixed all wall blemishes and paint job was great! We are so pleased with Tobey’s work. It all looks so elegant. Tobey gets all straight A’s from me! I got in on a deal through Angie’s list to have one room painted. I chose to have my bedroom painted from a very dark green color to a more neutral grey. Tobey was very responsive about contacting me and when I had an error on my part trying to get in touch, he was very understanding and got back to me right away. I had the work completed within a week of purchasing the offer through Angie’s list. He was very communicative about the amount of paint that would be needed and the coverage. He brought in everything and took great care with my belongings as well as keeping the pets out of the paint. He even had to remove the door from the room to get access to the walls but he did it easily! He was really understanding about my not knowing how to take the curtains down before he came and did that for me too. The room was gorgeous by the end of the day and looks awesome now. I look forward to working with him to paint the rest of my home! Painted bedroom walls and ceiling. Great job. How did it go!!! Excellent, Toby was on time, informative, about what he would do and what I would do. All I had to do was pick out the paint. Toby protected everything, my concern was the hardwood floor he totally protected the floor and furniture. My color scheme included 5 different colors. Two coats of paint on all the walls, as well as the crown molding. Toby gave us a new home for the Holidays. We are satisfied 100% Very professional I would definitely have Toby back! Tobey did an excellent job. I was 9 months pregnant and eager to have the nursery and our master bedroom painted before our little one arrived. He flexed his schedule to come the day before Christmas and did such a meticulous job! I can’t say enough about the quality and cleanliness. I was a bit nervous having a stranger alone in our house for the day while we were at work, but after meeting Tobey, I was comfortable leaving him there to work. I would definitely recommend Tobey and if we didn’t have to relocate, I would have had him back for more projects! Tobey is a great painter! Courteous, punctual, neat and takes pride in his work! I am planning on having do more work for me. I hired a painter because I have cathedral ceilings. I got so much more. This painter was fast, thorough, meticulous and a reasonable price. We enjoyed him and his great customer service. Painted walls and ceilings in the following areas; 3 bedrooms, living room, kitchen, hallway, and stairwell to lower level. Our first time using a professional painter. Toby did a great job covering each step from quoting, developing a schedule and staying on track. Detail to painting, overall a great experience and value for the price. He came on time for the appointment to give me an estimate. He took his shoes off to walk around inside our house. He gave me the estimate right then on the spot and we set up the date to do the work. He came on time on the day he was to do the work. He set up his equipment, being careful with our house. He prepared the surfaces and then painted the upstairs ceiling, hallways and stairway. The job was perfect, efficient and all cleaned up when he was done. I would hire him again in a heartbeat. Tobey was the consummate professional. He came to our new house before we even bought it to look over the areas we wanted to paint and gave his honest opinion about the colors we thought we would like to use. He arrived exactly when he said he would, and finished precisely on time. All of our floors and furniture were covered and there wasn’t a speck of paint where it shouldn’t be. 🙂 He was a pleasure to have around while he was working, too! I never felt concerned when he was alone in our home, which I feel is equally as important as how good of a job a person is able to do. I wouldn’t hesitate to call him again – as a matter of fact, we’re already planning what our basement would look like with new paint! He just plain does a great job, and I’m absolutely thrilled with how my new home looks now that we have some color on the walls. I’ve already recommended him to several friends who are purchasing new homes this summer, so I will say the same thing to anyone reading this review: Don’t hesitate – call Andropolis Painting today! Tobey painted three rooms for us, all of which were challenging in their own way. He painted a bedroom, office and guest suite. This is the second time we have worked with Toby and I am always blown away with his work! All of the rooms we had him paint were challenges. From trying to cover up red & blue with a light yellow to trying to cover up some awful faux painting. He did such an awesome job I can’t even find a sliver of the old colors! Tobey is ALWAYS on time and completes the job as stated in the contract (length of time). He is an absolute pleasure to work with and his work is impeccable. We highly recommend him! Although I was very apprehensive to purchase a BIG DEAL from Angie’s List, and although I procrastinated for several weeks, I finally decided to hire Andropolis Painting service. The transaction went smoothly, and Tobey responded very quickly. He phoned, and we set the date for the painting project. We are not used to such timely customer service! Tobey even offered to pick up the paint for us, as well as help with color choice. Tobey was prompt, courteous, and professional. What a positive experience it was to have Andropolis Painting LLC in our home. We were so pleased with the final product that we asked Tobey to measure four other rooms in our house, as we definitely want to have him back to do some more painting. We have had other painters do some work for us in the past, but none quite measure up to the standards of Andropolis Painting. We look forward to seeing Tobey in the near future. We definitely recommend him! Tobey was on time and professional, the finished product was completed quickly and turned out better than I expected. Andropolis Painting painted a bedroom for me. He was fabulous! Attention to detail was wonderful and he went above and beyond. Very nice person and great to work with. I recommend him with an A+. We communicated and he always got back to me in a timely manner. Date was set to paint and he finished in a day. He did a spotless job, both on the painting and in cleanup. Best painter I’ve ever hired! Tobey did a fantastic job! Very professional and very organized. He was very careful in prepping each room prior to painting. He taped off everything that needed to be and there was absolutely no bleed through of paint onto anything that shouldn’t have paint on it. Many times he free-handed, especially around windows and at the ceiling, making very clean lines. He is a very talented painter! His personality is such that you can chat with him along the way or go about your own business and not feel like you have a complete stranger in the house. There were times when I could not be here while he was painting and I was able to trust him completely. I even asked him to let our dog outside once and he happily obliged. He’s just a nice man. I would most definitely recommend Andropolis Painting! He painted all four upstairs bedrooms and closets. Earlier in September he had painted the first floor, and we were delighted to have him complete the inside of the house. Perfect. Tobey is definitely a professional and a delight to work with. He was prompt, neat, responsive, and did a wonderful job. 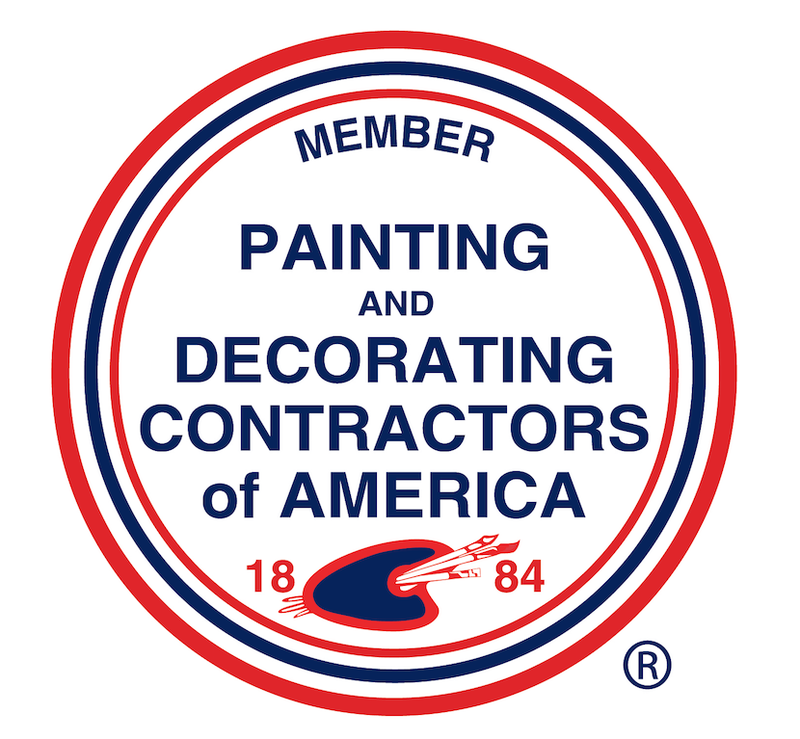 Don’t hesitate to call him for professional painting. Wow! What a fantastic job. We chose a three color scheme, and Tobey did a beautiful job of cutting in the colors and working with the cathedral ceilings and cut-off points. He showed up when he said he would, made a minimum of mess, and cleaned up after himself, even going the extra mile by replacing some fixtures that were hard for us to reach. Kudos to Tobey Andropolis! A very positive professional experience with Tobey. Using my Angie’s List and coupon, I contacted Tobey. A face to face at the house resulted in a free consultation with a Sherwin Williams consultant who helped me selected all the paint colors for the project. A written contract was signed and project scheduled. First floor rooms and foyer extending to the hallway upstairs were prepped and painted. The job was completed without problems. The job was so perfect that we have scheduled the remaining upstairs rooms! I highly recommend this individual who incidentally works alone. I do not hesitate to recommend this provider. Tobey A. was efficient, accommodating, helpful, always polite, and friendly. His work was perfect and he cleaned up at the end of the job. We would certainly give his name to others in need of painting work to be done. Tobey is outstanding, all the adjectives you would ask for — timely, efficient, quality, neat, good listener – are all there! I highly recommend Andropolis Painting. Interior painting of 3 rooms in our house – dining room, master bedroom, and great room. The great room was a large project including 20ft ceilings, a foyer, hallway, stairs, and landing. Work was completed on time and on budget (the quote was accurate). Tobey took great care to understand what we were expecting, and he completed the work with little to no direction afterward. He was extremely careful with all of our flooring and did a great job cutting in the ceilings and around the windows. I would definitely use him for painting again. Hassle free! We are preparing to sell our home. Mr. Andropolis completely painted several rooms, retouched and repaired cracks and removed wallpaper borders. He also re-textured walls where the borders had been. Tobey was prompt, professional and courteous. He did an outstanding job, was quite neat and meticulous. Our realtor was so impressed. He asked his card so he could refer his clients. I would recommend him highly to anyone. Painted our finished basement walls and ceiling. Went from light blue all the way around (from former owner) to neutral walls (latte) and a white ceiling with a darker accent wall. Tobey worked with us in choosing colors and recommended someone to work with at a nearby paint store and we were very happy with the results. When it came time to get the job done, he was friendly, and punctual. If he needed to leave to get additional supplies, he let us know and always let us know when he’d be back (it was a fairly big job). We will be using Tobey again. Tobey did a great job. He was very cooperative and professional. Was very professional and thorough. Paint job looks great. Interior paint- nearly the entire home. Color selection, prep, repair & finish. Job went well. Finished product is so impressive. Could not be happier. Tobey painted our kitchen, dinette, family room, master bedroom, master bath, circular stairwell to lower level (with circular tray above), & connection halls between areas. All rooms entailed at least 2 colors, and several three. The master areas included the trim as well. Two areas included painted crowns at the ceiling. Awesome is the first word that comes to mind! It was a pleasure to have Tobey & Andre in our home. The quality of painting was outstanding, the trim lines meticulous, and his willingness to ensure he met all of our needs unending. This was a large job that took 2 1/2 weeks, and we could not be more pleased with the result! He kept us informed on progress, and what areas he would be moving to next. He even totally removed all of his equipment from the house for the weekend so we could use all areas. He was careful, considerate, and willing to share ideas and thoughts about how to make the outcome better. He is linked up with a talented Sherman Williams decorator who help us in the color selections. If you want an outstanding painter we totally recommend Andropolis Painting! We’re so pleased with the outcome that we have scheduled two more phases to finish other areas of the house. This was our second time having Tobey doing work for us. Words cannot express the meticulous job he does. It has to be seen to be believed. He did an outstanding job of staining a wood ceiling in our sun-room without getting the stain on the walls. Looks wonderful. 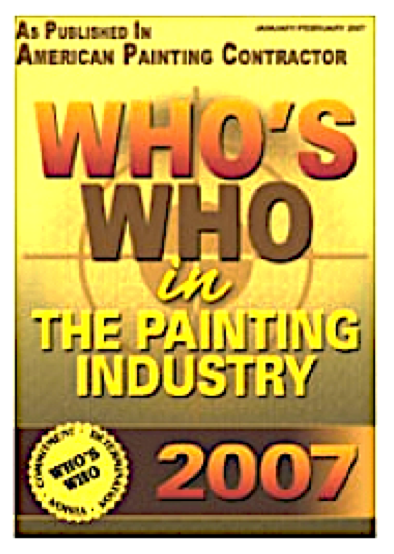 We would recommend Tobey to anyone and will definitely have him back in the future for any further painting projects. Tobey did an amazing job of painting every room in our home. He responded immediately to my inquiry, came the following morning and prepared a room by room estimate per my request. Tobey is extremely meticulous in his work and did any additional items that I requested. For example; I made a comment that I didn’t like the way the caulk looked around the counter tops in our kitchen once the room was painted. Before I knew it Tobey had removed all of the old clear caulk in the kitchens and the bathrooms and had replaced it with paintable caulk. It looked very neat and professional when painted. I liked the fact that he provided an interior decorator at no cost to help with the paint colors. The house looks fantastic and I couldn’t be happier. Andropolis Painting completed interior painting in our foyer and in an upstairs hallway. Foyer was about 20 feet tall. Communication with Andropolis Painting (Tobey) was fantastic. Tobey was able to give us an accurate quote and get our project scheduled quickly. He had all the equipment necessary and completed the project very quickly as well. Communication before and after the project was great, and the way Tobey conducts his business overall was at a much higher level than I have come to expect. After the work was completed my wife and I talked about how refreshing it was to see someone run their business so well. The work looks great, and we couldn’t be happier. Will definitely hire again in the future. exterior painting: whole house, shutters, breezeway (with separate trim color) caulked and filled nail holes on newly installed window trim repaired and painted damaged bathroom ceiling provided access to interior designer who came out gratis to help us finalize color choices. Toby showed up on time as promised, was meticulous in his work habits as well as his painting skills, offered excellent advice and input on making the project the best it could be, and is a genuinely nice man. I have some physical challenges which make home improvement activities challenging…Tobey stepped in a couple of time to hang some pictures that needed a high ladder and to drill a hole in a door which was beyond my grip strength. I would (and will!) hire him to do any painting that needs doing around my house, and cannot recommend him highly enough. My Mom was fanatical about clean painting work — she would be delighted with Mr. Andropolis’ work, too. 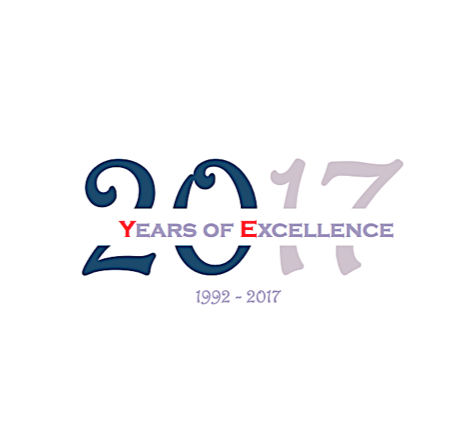 Tobey has consistently provided the most professional paint services – he is on time, clean, meticulous and highly professional. I can always count on quality services from him. Tobey was excellent. He is truly a craftsman and painter, which is hard to find nowadays. As usual wonderful job. Timely, neat, professional, helpful. After reading reviews on Angie’s list for Andropolis and others, we decided to go with Tobey. He was punctual and thorough with his estimate. This was a home we recently bought that needed some touch up. We were in the process of moving and not always there; he did a great job staying in touch throughout the entire process from quoting to finishing the job. He painted our great room, including the ceiling; that room alone is 22’x25′ with 18′ ceilings. He also painted our kitchen, front room, master bedroom, including the tray ceiling, and one of the bedrooms upstairs. He had scaffolding in the house for the great room and took great care in the area when he was working in there; even let us use the scaffolding to change out the ceiling fan in that room. The front room and the fireplace needed some plaster work where electrical outlets were removed. In addition there was a large hole ~8″ diameter where something was mounted above the fireplace. When he was done, you couldn’t even tell there was anything there before. It took him about a week to finish the entire job. Two coats on everything and remarkable plastering job; he ended up having to re-finish the entire front of the fireplace and did an awesome job matching the plastering texture/pattern, then painting it. He’s not the cheapest, but he most certainly does the job right. We are very happy with having the opportunity to meet Tobey and the end result. We would definitely hire again. Tobey came along with Rick Stoffel to Omaha, Ne from Appleton, WI to paint my large home in Linden Estates. They arrived on Saturday, April 28th and painted the whole inside of my home and finished on May 4th, 2012. The first day after traveling 10 hours to Omaha they painted from 2pm until 11:30pm and then each day after they painted a minimum of 12 hrs a day and they finished my house which is 7,000 sq feet. They worked very hard, quietly, neatly and were pleasant guys. Another nice thing is that they knew what I wanted and followed my directions…perfectly. I would recommend them to anyone. I am so happy that i had the pleasure of meeting Tobey and we really enjoyed their work ethic. Today is their final day and I am sad to see them leave for Wisconsin. My husband and I bought a new home and needed to update the color of the main living space. From the moment I contact Tobey, he was enthusiastic to make my project a dream space for me and my family. He offered color and style suggestions that I would have never thought of. I used his suggestions and WOW, the space is beautiful. Tobey was professional from when I first contacted him through the completion of the project. Everything he said, color, style, time spent on the project, and cost was accurate and clearly conveyed to me throughout the project. Top-notch and I will never use anyone else in the future. Painted living room, kitchen, dining room and hallway. Living room, kitchen, and dining room has a cathedral ceiling. Patched a crack in the wall. We got estimates from three different painters. Toby Andropolis’ estimate was the highest. We chose him because he was very thorough in assessing the job, was personally recommended by a friend, and was very professional with pictures of his work. We are extremely satisfied with his work. It was well worth the difference in price. Toby was excellent! On time, professional and work was perfection. He was wonderful to have in our home. We would recommend him any time. Cannot speak highly enough about him!